What can Ray Cochrane School offer you? Founded in 1954, we are one of the longest established private beauty school in the London, UK. We are an intentionally small and selective school and can, therefore, offer a level of tuition and support that larger institutions cannot. Our tutors are all highly qualified in their respective fields CIDESCO and do everything they can to ensure our students graduate as highly qualified beauty therapists. We offer exceptional education in beauty therapy courses, which is provided by our highly qualified professional lecturers in a safe, encouraging and supportive training environment. Our objective is to educate and train you to the highest of standards and to see you reach your full potential within the beauty industry. We offer a wide range of courses; national and International from Level 2 and 3 in Beauty and Nails to Level 4 Laser and IPL. 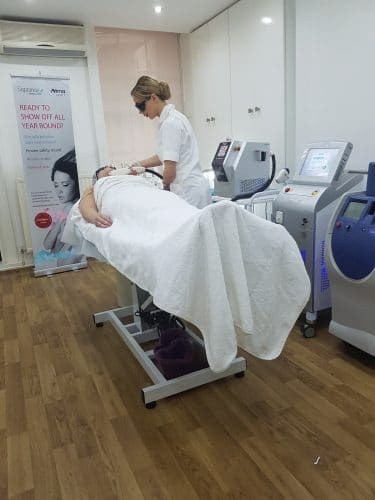 We are always looking out for new courses to offer and will be updating our courses soon to include Level 5 Laser Tattoo Removal and Level 5 Micro-needling among others. The examining body VTCT that is regulated by the UK government awards our National qualifications. We offer International beauty therapy qualifications that will allow you to travel to any country to gain employment. These are awarded by the international organisations CIBTAC and CIDESCO. Just wanted to write a quick review with my experience with these guys. 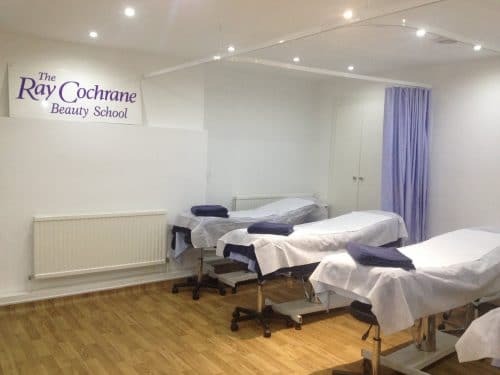 So I’m a first time salon owner in North West London and I’m so nervous because it’s my first business so I came to Ray Cochrane school for my laser training. I can honestly say this was the only school in the UK who used the latest tech to teach there student most other schools that I looked at had old laser machines so out of date that there wasn’t a point of even learning on them. Their teacher always adapt to your circumstances so comes classes I couldn’t make due to my business how ever they always bent backwards but doing an extra hour for me on another day I can not stress honestly how good these guys are and I hope you guys read properly about each school before you join to do your courses…. good luck everyone !!! We have employed a few graduates from Ray Cochrane Beauty School during the last two years. They all have a “can do” attitude and eager to learn new treatments. They are knowledgeable with skin care treatments and products. I would highly recommend this school to any salons/clinics, which are willing to take on new graduates. Our daughter was studying for a year and a half in Ray Cochrane Beauty School. We noticed great progress that she was and has achieved through out this year. We are very thankful to her teachers that put big effort in teaching her all of the skills she needed to know. They always gave as much help as our daughter needed. We do understand that our daughter need more time to learn the theory and the practical, but at the end that wasn’t the issue, as she had successfully passed her CIBTAC examinations and also she had passed her practical CIDESCO exam. Our daughter had a chance to practice on actual clients and we had seen our daughter coming from the client day smiling and happy about her achievements. This is a great place for girls to become great specialists. You can call us on 020 7486 6291 or email: email@raycochrane.co.uk to book a school visit during which you can have a tour around the school, speaking with tutors and students and get all the course information. We will be at stand F91 at the Olympia Beauty Show. Our experienced and friendly staff will be available to answer any questions you may have regarding courses, we will have demos of waxing treatments being performed and our tutors will be on hand to talk to you about the learning experience and what we can do to help you to learn.